First, if you missed 2.6.6, that added drag-and-drop musical exploration in “Ideas View” – the non-linear arrangement tools that will feel welcoming if you’re used to Ableton Live and the like. 2.6.8 has two banner features. One is an isomorphic keyboard layout for Maschine Jam – basically, the ability to easily play melodic parts on the Jam hardware. (The “isomorphic” bit means that you can find chords easily by moving your hands around, even without a previous instrumental or theory background.) And the other big one, for everyone, is a new Bass Synth. The Bass Synth isn’t an SH-101 or TB-303 clone, but it is inspired by various useful bass synthesizers and designed for easy use. Now, I’m a big fan of synths that use simple controls. Far from limiting your options, I think they encourage you to dial in sounds you love and push a bit against limits, focusing on listening with your ears rather than getting stuck thinking about parameters. The less-obvious one is glide. Hidden on page two, you’ll find a parameter that shifts glide on or off. Obviously, this needs to be on before glide works – including the glide time parameter on the first page. On Maschine Jam, the top row of the piano roll corresponds to per-step glide controls. On other hardware, or with your mouse, you can modulate the Glide parameter on the second page to add glide on particular steps (or leave it on) – just remember this is also going to be dependent on the length of your steps, plus the Decay parameter for the sound. Try some presets in the Browser.Select: All Sounds > Bass Synth. There are some great sounds, revealing this instrument’s hidden range, and they’re a good starting point for tweaking and experimentation. Make acid basslines by turning up resonance and adjusting envelope and filter. Create sub bass by adjusting octave down. 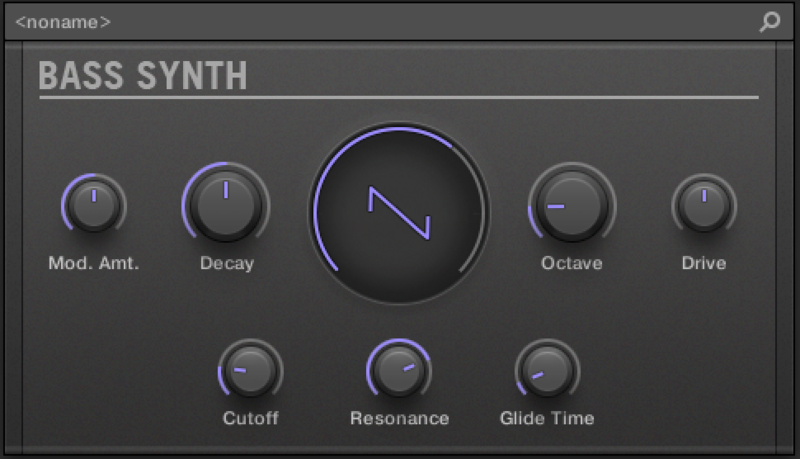 Use this as a melodic synth in higher ranges – and think SH-101 style, adjusting the oscillator shape. Set mod amount to the middle of the range, and create accents with the JAM accent controls or by playing higher volumes. There are a number of fixes in this release, too; NI unusually quick to ship fixes on Maschine for its software and hardware. 2.6.6 contained a huge set of fixes, so if you’re behind on updating, it’s worth doing.